He was a newly married grandfather, a former U.S. Marine and a veteran cop who had gone to Iraq and Afghanistan to help train local police. 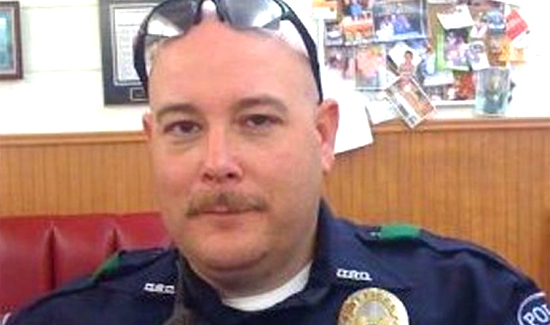 But Brent Thompson died protecting the rights of fellow Americans to criticize his brethren in blue. The 43-year-old Thompson, who joined the Dallas Area Rapid Transit police department in 2009, was the first identified of the five city police killed in a coordinated sniper attack Thursday night in a protest against police brutality. The other names, as well as several who were wounded, are expected to be released Friday morning, following the nation’s deadliest day for law enforcement since 9/11. Officials said Thompson had married a fellow police officer just two weeks ago.